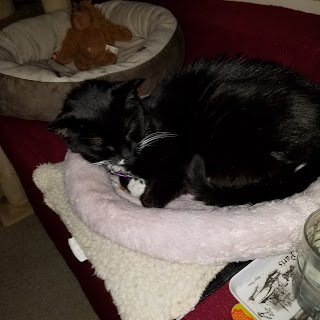 I just found out from Eastside Cats that it's Black Cat Appreciation Day. That's pawsome because I live at the House of the Mostly Black Cats. Mom and Grandma are sad sometimes because the ones that came before are OTRB, but Boni Maroni is still here *knock on wood* (Mom told me to do that for some reason.) And I am here, and we all know that Orange Is The New Black, right? Right. Boni Maroni napping in the heaty bed. 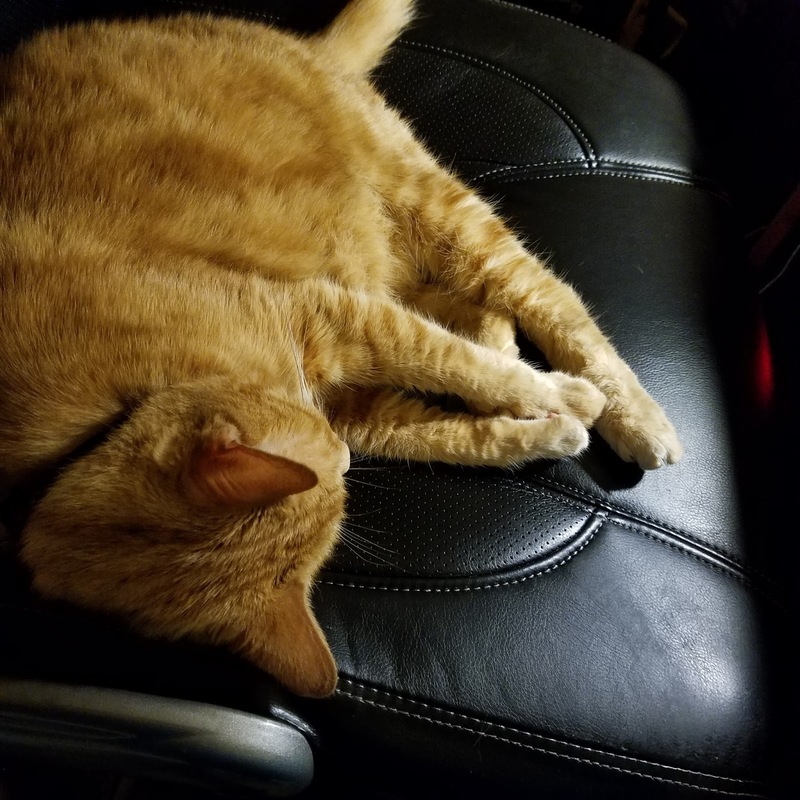 Me power napping in my Executive chair. Happy Black Cat Appreciation Day to all the house panthers and the peeps who love them. Go you! If you can, put your spare couch change in the bucket for Black Cat Rescue. They are a a No Kill rescue staffed all by volunteers. It's also the official charity for the House of the Mostly Black Cats. Just clicky to donate your couch change. You rock! Pee Ess. Mom says she'll tell you sometime how she ended up with an Orange Is The New Black cat instead of a regular black cat. Please feed me comments so I can show Mom who is boss around here.